Queensland Museum holds comprehensive collections of Animalia and Protista specimens from Queensland's broad terrestrial and marine provinces, dating back to the 1860s. Substantial comparative material from adjacent Indo-Pacific regions is also held. The museum has strong vertebrate specimen collections; however there is a recent focus on invertebrate organisms sourced from two of the most diverse bioregions in Australia: the Great Barrier Reef and the Wet Tropics of Queensland, World Heritage areas. Queensland Museum also holds significant geological material including collections transferred from the Geological Survey of Queensland and the University of Queensland. Queensland Museum Amphibians and Reptiles Our herpetology collections include all reptile and amphibian species presently know to occur in Queensland. Many of these are endemic to narrowly defined habitats. Of particular interest are species occurring in the Brigalow Belt and the Wet Tropics World Heritage area. Queensland Museum Arachnids Queensland has a highly diverse fauna of spiders, mites and other arachnids. Until recently collections focussed on rainforest regions, but attention has turned to dry habitats and coastal forests, yielding many new discoveries. Queensland Museum Birds Our bird collection focuses on Queensland and Papua New Guinea regions, documenting an historical record of species distributions, past and present. Queensland Museum Corals The Museum of Tropical Queensland, Townsville, is home to our internationally recognised collection of hard corals. The collection is a comprehensive coverage of Indo-Pacific Scleractinia, particularly from the Great Barrier Reef of Australia. Queensland Museum Crustaceans Queensland has the highest diversity of marine and terrestrial crustaceans in Australia, largely due to the rich diversity of habitats in these tropical and subtropical climates. Queensland Museum Entomology Our entomology collections focus on Queensland and adjacent Papua New Guinea and West Pacific regions. With the Wet Tropics World Heritage Area of Queensland having the highest insect diversity in Australia, these collections take on a special significance. Queensland Museum Fishes Fishes are the most diverse of all the vertebrates. The estimated 5,000 species that occur in Australian waters are amongst the most diverse marine fauna of any country, and many of these species occur in Queensland waters. Queensland Museum Mammals Our mammal collection focuses on Queensland and Papua New Guinea regions, documenting an historical record of species distributions, past and present. 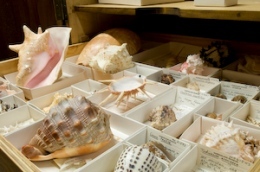 Queensland Museum Molluscs Queensland has extraordinarily high diversities of marine and terrestrial molluscs. These encompass the megadiverse faunas of the Great Barrier Reef, the Wet Tropics and the Brigalow Belt with over 17,000 species represented in our collections. Queensland Museum Other Invertebrates With the Great Barrier Reef our most important marine biodiversity resource, the Queensland Museum has a strong focus on marine invertebrates, including sessile, free-living and parasitic species. Queensland Museum Porifera Queensland Museum collections have a strong focus on marine invertebrates as the dominant components of our vast reef and seabed faunas and sponges (Porifera) are an important contributor to these. Queensland Museum Protozoans These collections focus on parasitic protozoans, including the largest collection in the world of avian haemaotozoa (formerly the International Reference Centre for Avian Haematozoa), the historical collections of Bancroft and Mackerras from the former School of Tropical Medicine, Townsville and, more recently, myxozoan parasites of fishes. Click to view records for the Queensland Museum.